OMAHA, NE., August 29, 2018 – Visit Omaha proves that the Old Market can attract a crowd – even in Chicago. The city&apos;s official tourism authority took a re-creation of the Old Market Entertainment District to one of the largest tradeshows in the tourism industry and received top honors. 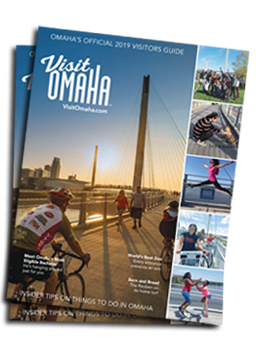 “Winning an award on the tradeshow floor amplifies our city&apos;s messaging in front of convention decision makers," said Keith Backsen, Executive Director for Visit Omaha. "The more awareness we, along with our hotel and convention center partners, can build in front of this audience the more meeting business we can bring back to Omaha." This is the third time that the Visit Omaha Old Market booth has won an award at the ASAE Annual Meeting & Expo. At the exhibit, people could taste Omaha Steaks and sample craft brew. To keep it fresh each year, the team develops creative ways to boost attendance at the booth. This year, Visit Omaha gave attendees a single sock designated with colorful infographics touting Omaha attributes. Each sock was attached to a card that read, "Meet Your Match. Bring your sock to the Omaha booth to find its match...and meet yours." The booth also featured Omaha Steak bites and craft brew to provide a taste of Omaha. ASAE first-time attendees judged the booth on a number of factors including company identity, product presentation, design elements, exhibit personnel and overall presence on the tradeshow floor. ASAE is made up of 7,300 trade associations and individual societies, with a membership of more than 42,000 throughout the country and the world.